Whenever we have family time away from TV's and computer screens the kids always ask to play games! So its become a bit of a family games night on a weekend and the kids love it, especially when they beat mum and dad! 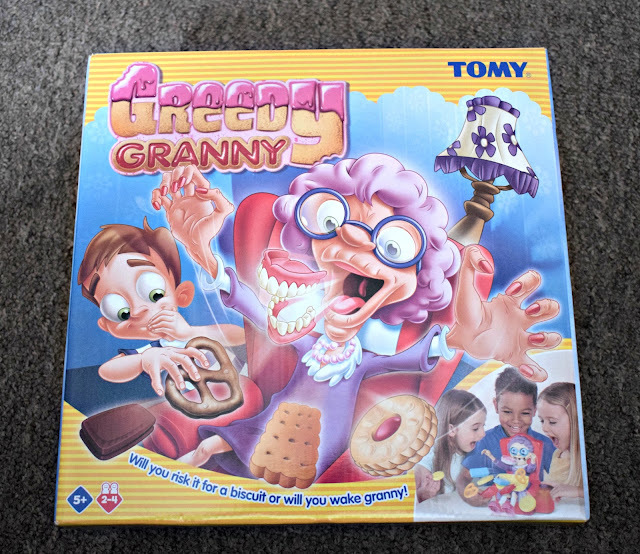 With this in mind we are always on the look out for new games we can all enjoy, so when we were given the opportunity to try out a new game to us Greedy Granny from Tomy we were excited to try it. Greedy Granny is a new mischievous game from Tomy that the whole family can enjoy. Take it in turns to spin the dial and then depending on what it lands on try to sneakily take a biscuit from granny's tray. But careful you don't wake granny or she will jump up sending her teeth flying! The game requires no batteries which is a big bonus for me as it means its always ready to go as soon as we want to play. Greedy granny is for kids age 5+ and 2-4 players, however with a bit of supervision and help counting Evelyn was able to join in to (shes 3) so its definitely a game the whole family can take part in. To play each player takes it in turns to spin the dial, depending on the colour it lands on (green to take a biscuit and purple to put one back on the tray) and the number it lands on will tell you what to do next. Take or Put back a biscuit and then press the button to the side of granny the specified amount of time, but be careful not to wake granny! If you wake her she will jolt forward sending all the biscuits and her teeth flying! The person who makes granny then needs to put back their biscuits. The winner is the first person to get 1 of each biscuit in their pile without waking granny. 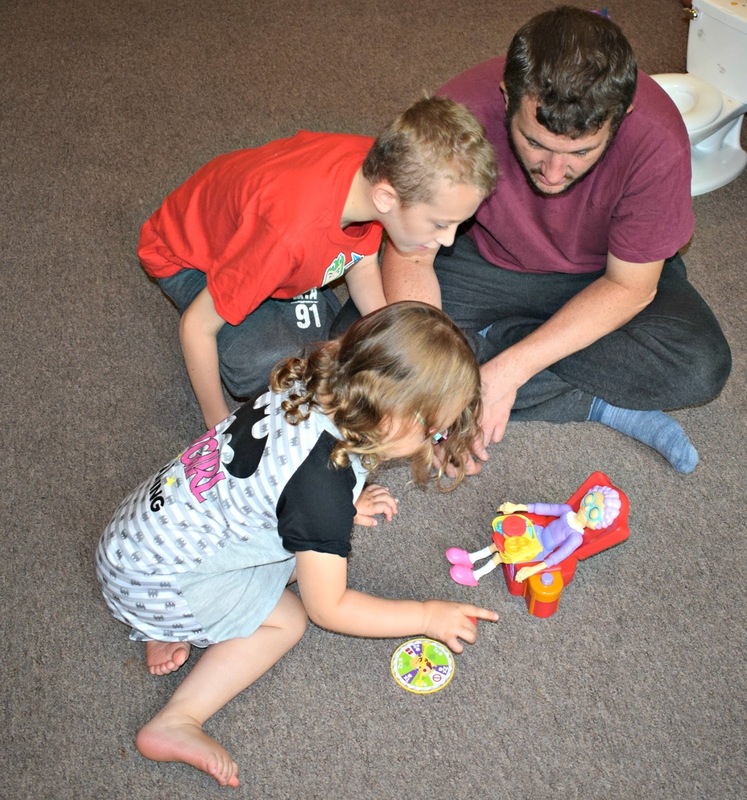 We had so much fun with this game and the kids loved it too, its definitely a game the whole family can get involved with. We liked that it was simple to understand and the instructions on the dial were clear so the game ran smoothly throughout. The bright colours and fun nature of the game are sure to appeal to kids of all ages (James thought it was hilarious when granny's teeth flew out!). 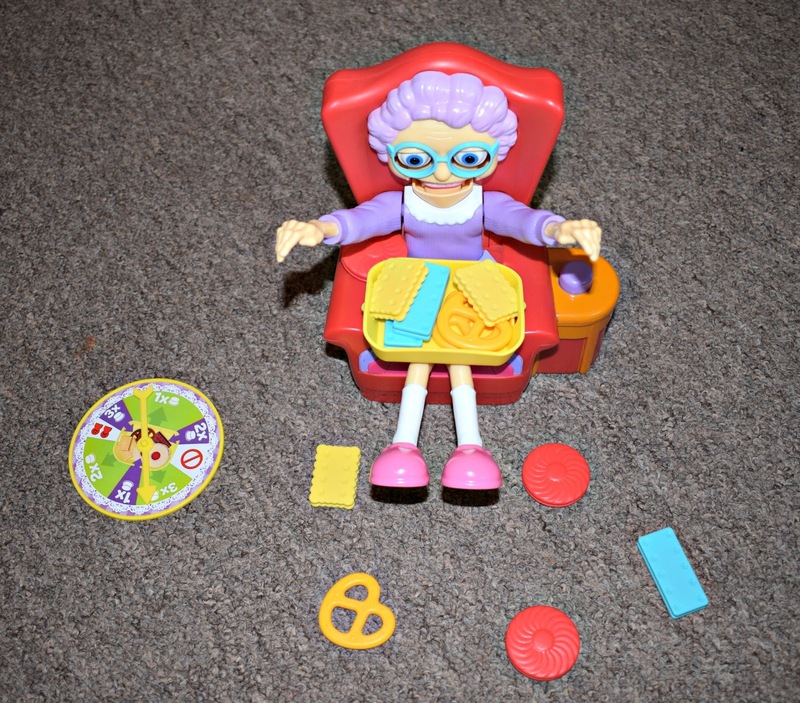 The game didn't drag on either which I think is really important when kids are involved, to win you need 4 biscuits and of course there are a few set backs in the game when granny gets woken but its still a good length game. 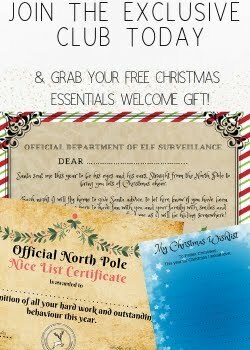 Greedy Granny is available to purchase from lots of stores including Toys R Us, Tesco and Asda. with an average RRP of £19.99. Do you think this is a game your family would love too?